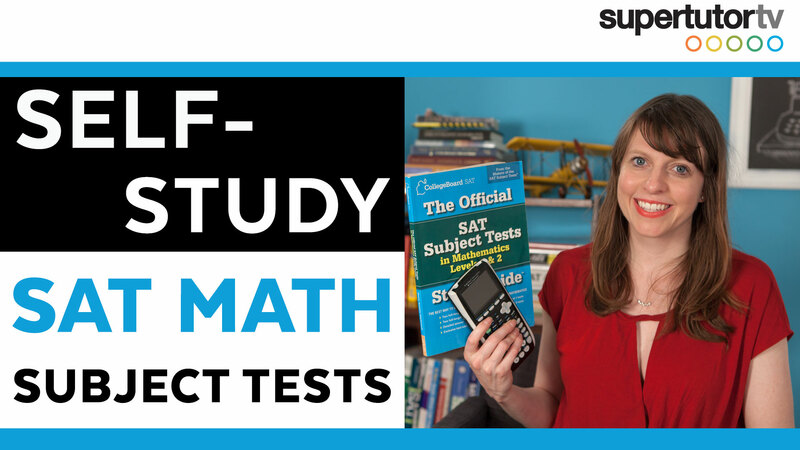 Wondering when to take the SAT Subject Tests? You’re in luck! We’ll cover the most strategic timing for all your subject tests in the article below. The good news is that you may or may not have to take SAT subject tests depending on what school you’re applying to. However, many colleges do encourage applicants to take at least a few SAT subject tests, so for most students applying to top 50 schools, taking at least a couple is a good idea. Also, if you want to apply to a broad range of universities, it may be a smart idea to take several SAT subject tests in order to showcase your academic potential. For more on what top schools require, check out our blog on that topic. STUDY ONCE! Align your SAT subject tests with the corresponding courses’ AP or final exam schedules. This is particularly helpful for high memorization subjects like history and science. For example, if you’re taking AP U.S. History, its AP exam is held in May, and its final exam is likely in June. So take the U.S. History SAT Subject Test towards the end of the academic school year, and maximize the impact of your studying. Material on an AP or final exam is often similar to its corresponding SAT Subject Test, so use the overlap to your advantage! One pattern I’ve observed in my students is that they fail to plan ahead. For example, a student may realize senior year he needs to take a Physics SAT Subject Test for his intended major at Cornell. The problem is, he took physics two years ago in sophomore year and forgot 42% of what he learned! To avoid conundrums like this one, plan ahead. I know I told you to align your tests with the AP courses– but what about math? It isn’t exactly an “AP” course name– and there isn’t any calculus on it. Since math is a cumulative exam (geometry, algebra, trigonometry, and precalculus) — testing through Algebra II in level I and Pre-Calculus in level II, you can take it whenever you have completed the appropriate coursework and have time to prepare for it. Regardless of when you take the test, you would probably need to go back and brush up on some rusty concepts here and there. Most students take level II — if you’re prepared for that test, it’s a good option. You usually don’t greatly benefit by taking both level tests. The Literature SAT Subject Test is another exam that doesn’t necessarily need to coincide with the AP or final exam. It resembles the SAT I Reading Comprehension portion, but with poetry and plays. If you’re going to be taking this Subject Test, I recommend that you wait until the end of your junior year, or beginning of senior year. The reasoning behind this is that you’re going to become a better reader the longer you read. At the same time, if you’re a strong reader, you can take this whenever you have time to prepare. If you’re getting 800’s on practice tests– well go for it! Like math, foreign language is cumulative, and therefore you can choose to take it at any given time. I personally advise to take it when you have ample time to prepare, or as late as possible. When you take it as late as possible, such as in November of your senior year, you’re essentially maximizing the time to learn that language. If you’re a speaker of that language at home (i.e. Korean American speaking Korean at home), then you might be able to ace the Subject Test any time. If you’re studying abroad in a foreign country that speaks that language, take the test as soon as you return. Note: Language with listening is usually offered only two months out of the year, so make sure to plan ahead! For all these exams, it’s important to complete them before college applications are due. For those of you applying early decision to colleges requiring subject tests, make sure everything is submitted by November 1st senior year. If your top pick doesn’t require these tests (or only suggests them), still try to get them done by the November test date, Senior year. For regular decision schools (except UC schools and a few others), you can also take the exam in December. 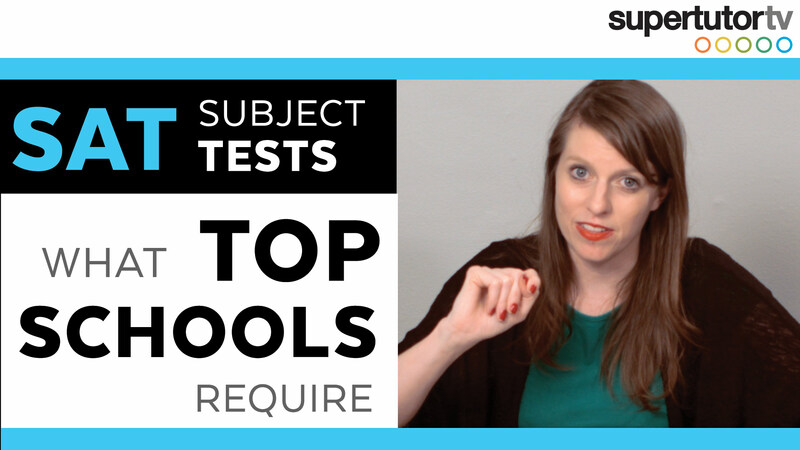 Above all, the SAT I is more important than the SAT II, so prioritize that first. Also, keep in mind that you can’t take both SAT I and SAT Subject exams on the same day. For example, it’s impossible to take the SAT I in October of your senior year and a SAT Subject Test during the same month, because that would inevitably result in the same day and time. You can take up to three subject tests on a single day, though. If you’re ready to start planning, click here to check out this year’s SAT Subject Test schedule! 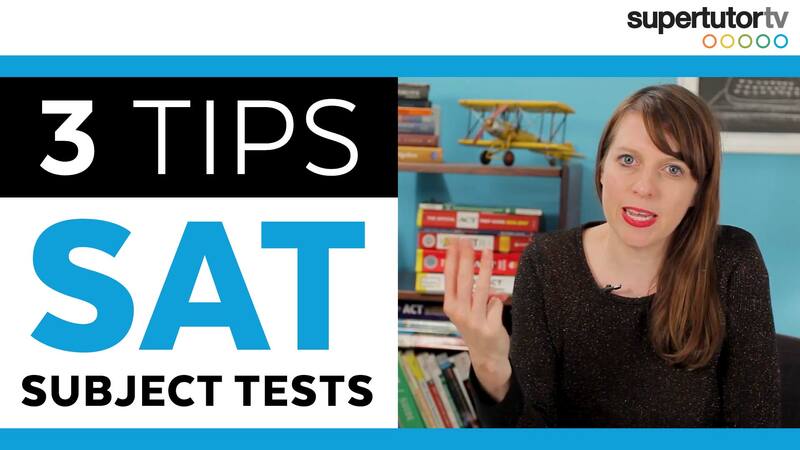 3 Tips: SAT Subject Tests! Are you taking SAT Subject Tests and wondering how you can best prepare and approach the exams? Watch this video to find out! Taking the Math SAT Subject Test? Here are some tips on how to prep for success! But first, let's clarify some things. Which level test should you take?